For those rare moments smartphone users are located in areas that lack mobile internet, CM’s Hybrid Messaging solves the problem by combining push notifications and SMS text messages in just one application. 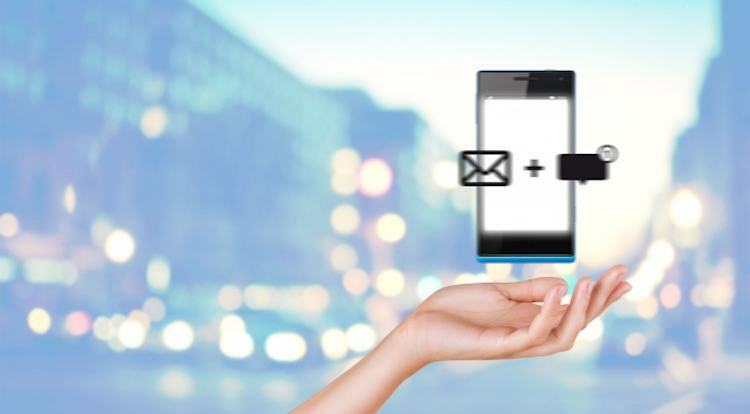 “Hybrid messaging offers the best of both worlds: the vast accessibility of SMS and low expense of push notifications”, says Jeroen van Glabbeek, CEO of mobile service provider CM. Hybrid Messaging initially sends your app push notifications to your app users. Based upon the delivery status noted in de delivery report that will be sent back to your dashboard, the SMS Fallback option within Hybrid Messaging can send your messages as an SMS. Hybrid Messaging is especially useful for business critical notifications like alerts, transactions verification. Within the app dashboard you can set a time after which an SMS Fallback has to be sent. Every SMS Message returns a delivery report as well and is resent in the case the status comes back as ‘failed’ or ‘not accepted’. SMS Pricing, everything you need to know! SMS Pricing is one of the most complicated parts to understand when you start with sending SMS. Here is everything you need to know about SMS pricing and how to find the most advantageous SMS gateway that suits your needs.